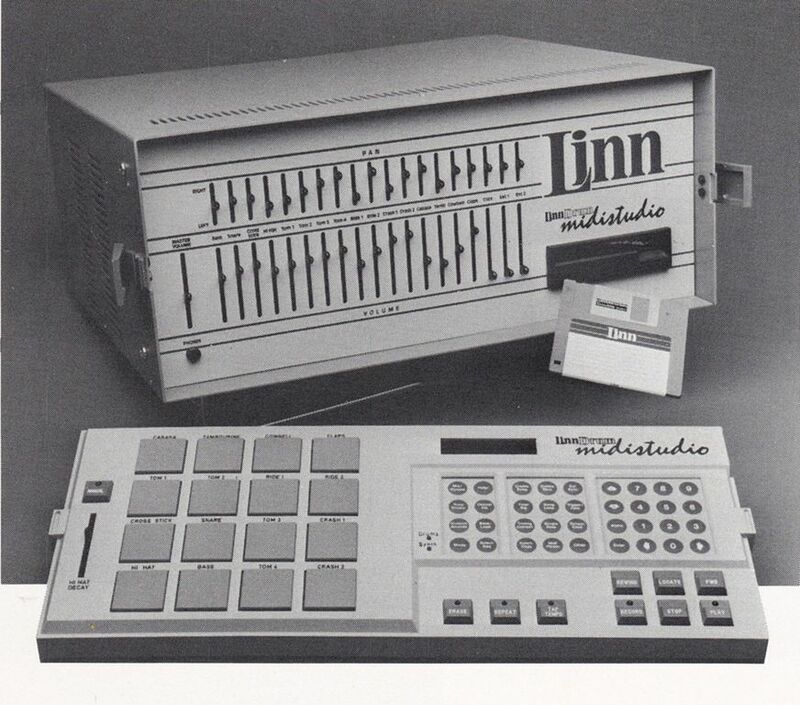 “The Linn MidiStudio is a new version of the original Linn 9000 digital drum machine & midi sequencer. All the 9000 features are retained including dynamic buttons, cue tempo, repeat, interchangeable sounds, 32 tracks per sequence and more. In addition, a 3.5″ DS/DD disk drive and sampling are standard equipment. 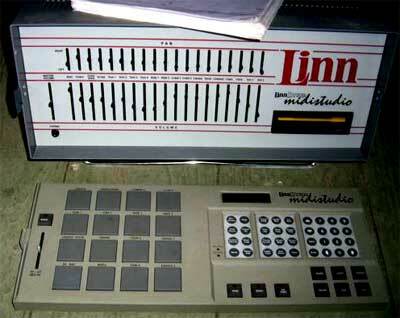 The MidiStudio has 16 dynamic pads, and sampling can be applied to one or all pads simultaneously. Sampling rate is adjustable from 10kHz to 50kHz for up to 30 seconds of sampling time. The new 5.X software used in the MidiStudio is also available to Linn 9000 owners. Options will include full SMPTE syncing and 16 trigger inputs. The MidiStudio is two separate pieces, the main unit with volume, pan & drive. The control panel is detachable for console or lap operation. An optional 100 ft. cable is available.